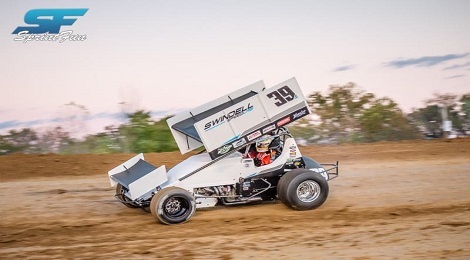 Kevin Swindell has fond memories of his history at I-30 Speedway. 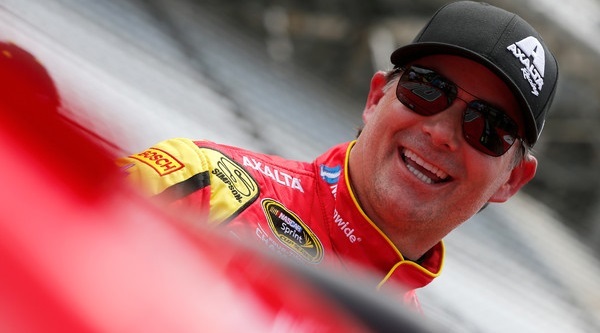 Brown: Can Jeff Gordon Turn Back The Hands Of Time For One Final Win? As the 2016 season NASCAR Sprint Cup Series is nearing it’s conclusion, so too is the window for Jeff Gordon. After talking with officials from the Carolina Clash Super Late Model Series, “Border Wars at The Gap” scheduled for Saturday, Oct. 8 at Volunteer Speedway has been canceled due to a conflict with a Super Late Model show in East Tennessee at another track that later scheduled on the same date. 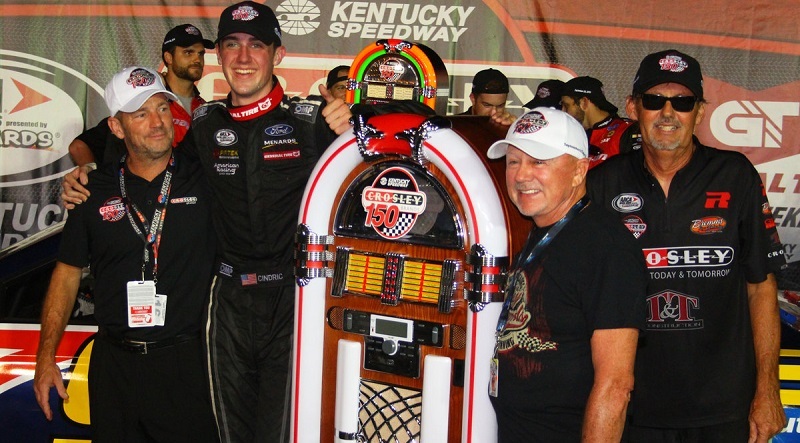 After several close calls in the ARCA Racing Series presented by Menards, 18-year-old Austin Cindric finally sealed the deal and captured his first-career victory on Friday night at Kentucky Speedway. 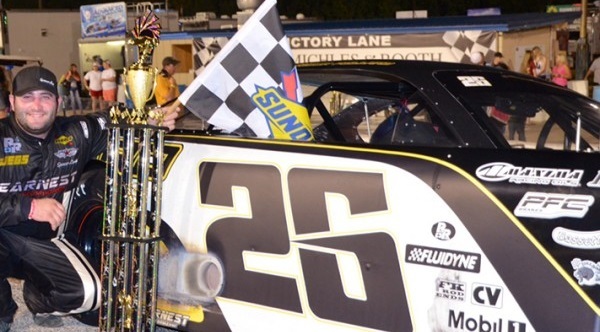 Saturday night will mark the end of the season for both the Southern Super Series presented by Sunoco and the Blizzard Series at Five Flags Speedway. 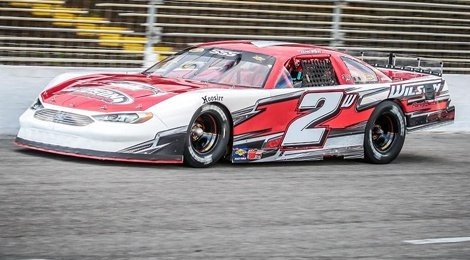 Donnie Wilson has dominated races in the past, but said it will be hard to duplicate his strong run in Sunday’s Alabama 200 at Montgomery Motor Speedway. 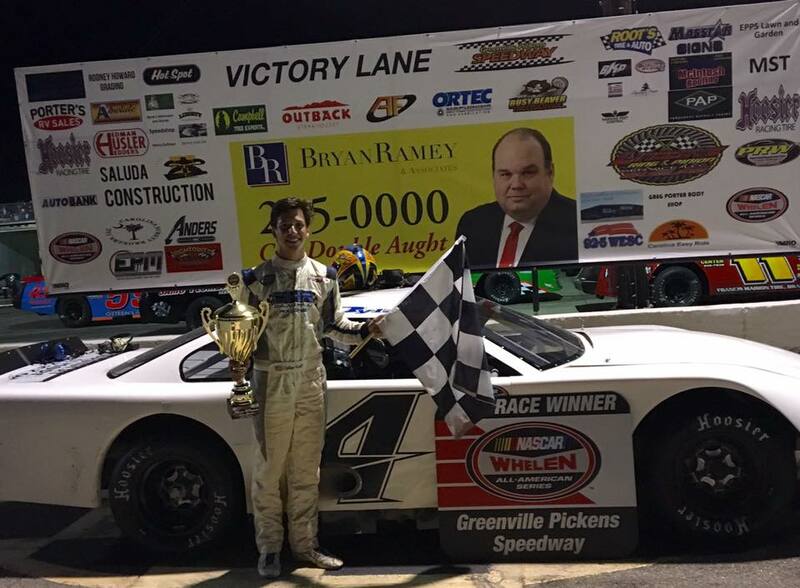 As the month of August dives into its stretch run, the Southern Super Series presented by Sunoco is preparing to enter its final phase of the season, and teams are using the late summer break to their own advantage. 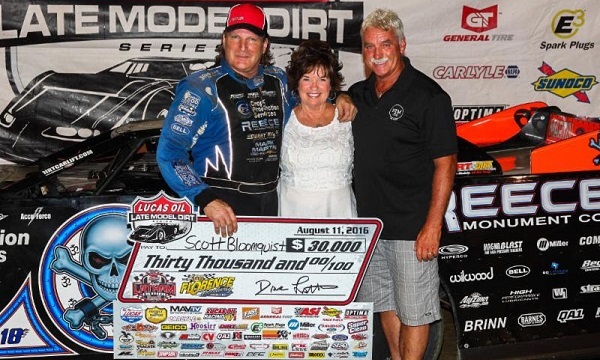 Scott Bloomquist took the lead on lap five and never looked back, driving to victory in the 30th annual Ralph Latham Memorial on Thursday night at Florence Speedway. 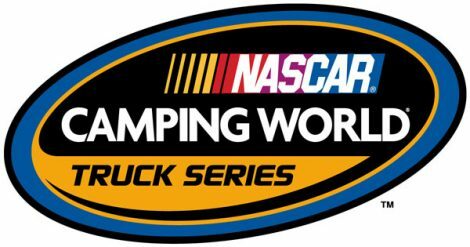 With sponsorship from Thompson Electric, 19-year-old New Philadelphia, Ohio driver Matt Mills will make his NASCAR Camping World Truck Series debut for SS Green Light Racing on Aug. 17 at Bristol Motor Speedway. ThorSport Racing announced Tuesday that Ben Rhodes will partner with Regal Cinemas, a leading motion picture exhibitor, to drive the No. 41 Regal Toyota Tundra at Bristol Motor Speedway on Aug. 17. 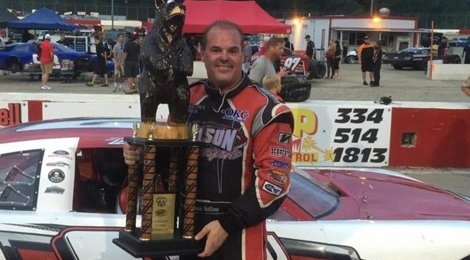 For the first time ever, the Greenville-Pickens played host to the Bandit Big Rigs Series at the historic half-mile NASCAR Whelen All-American Series track, and Asheville, North Carolina’s Ricky Rude came from the back of the field to take the lead and the victory. 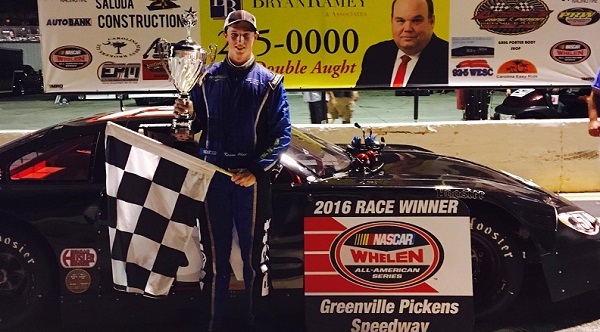 Dylan Hall won both NASCAR Whelen All-American Series late model features.